Siemens wins tender to replace diesel railcars with electric cars, spokeswoman says contract will be signed at a later stage. German industrial giant Siemens has won a $1 billion tender to supply Israel Railways with hundreds of electric railcars, a statement to the Israeli stock market said. Under the terms of the deal, which has yet to be signed, Siemens will provide 330 double deck electric units, Israel Railways said in a statement to the Tel Aviv stock exchange. Siemens will receive 3.83 billion shekels ($1.08 billion/920 million euros) for the provision of the railcars, set to take place over five years beginning in 2020, as well as for their maintenance in a southern Israeli depot. The deal is part of Israel Railway's move to switch its fleet from diesel to electricity-powered trains, a statement from the company read. The trains will also be used on a new line being constructed between Tel Aviv and Jerusalem, hoped to be operational in the first part of next year. The deal needs to be examined and approved by the Israeli Economy Ministry's Industrial Cooperation Authority. A spokesman for Israel Railways could not say when the signing of the agreement might take place. 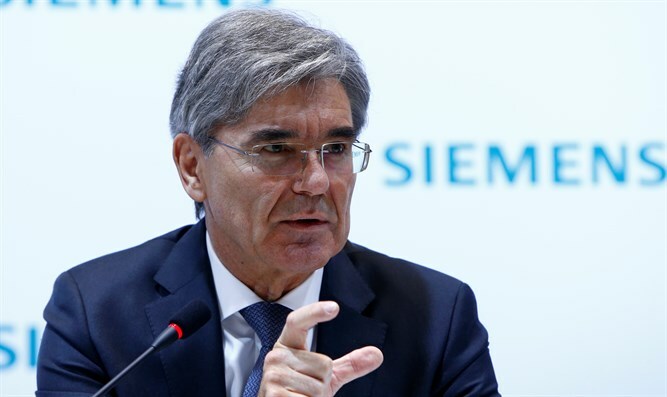 A spokeswoman for Siemens in Germany told AFP the company had not yet signed the contract, but rather were selected as "the preferred bidder." "Contract signing will take place on a later stage," the spokeswoman said. Rail transport is increasing in Israel, with seven new stations set to be added to the current 71 in upcoming years. In 2016, Israel Railways had 468 trains carrying people on 12 lines, with the number of passengers -- 60 million -- constituting an 11 percent rise compared to the previous year. The other final contender for the tender was French train maker Alstom, a spokesman for Israel Railways told AFP. Alstom and Siemens announced on Tuesday a merger to create a new European rail champion.